It’s that time of year again. The football quarter finals in Croker. No more second chances! 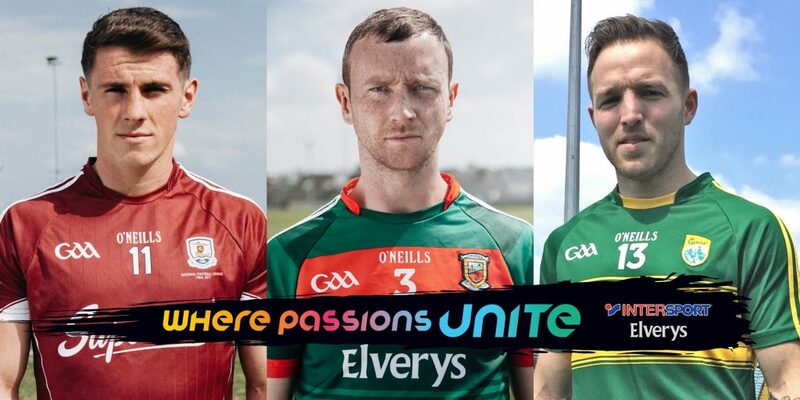 At Intersport Elverys, we’re extremely proud to be the official retail partner of three out of the four teams looking to book their place in the Semis – Mayo, Galway and Kerry GAA. The latter two go head-to-head in the earlier game with the former facing off against neighbours and rivals Roscommon in the 4pm game. Suffice to say, it’s been a thrilling road up to this point for our partner counties and we can expect nothing less this weekend. Mayo have endured possibly their most difficult championship in recent years yet have managed to stay afloat. Losing to Galway in the Connacht semi final meant they would have to play three qualifier games to progress to the All-Ireland series. Galway fell short in the Connacht decider against a strong Roscommon side and lost out on their chance to win back-to-back Connacht titles. They faced the same fate as Mayo and had to play a qualifier against Donegal. The Tribesmen’s heads weren’t down for long as they throttled Donegal in their qualifier game in Sligo. Kerry were able to navigate their way into the quarters after an impressive performance against Cork in the Munster final, taking home their fifth consecutive Munster title. As retail partner to these teams in action this Sunday, it’s great to see their passion and dedication to the game translate into winning momentum. At Intersport Elverys, we are delighted to be their destination for boots, supplying them with the latest and greatest styles to suit their play. We understand that having the right footwear is an important part of any GAA player’s game as they strive for greatness on the field. This year Intersport Elvery’s passion for GAA is reflected in the fact that we are now proud retail partners of TEN GAA inter-county teams. We are THE destination for all things GAA. Click below to shop our HUGE range of GAA boots.